Want audiophile-quality sound for your Mac, iPad or iPod? To hear music at its best you really need a decent pair of headphones. And this is where the Sennheiser HD 518 comes in. Ostensibly designed for hi-fi use, the 518s bring audiophile-sound quality to your Mac, iPad or iPhone in a lightweight, open-backed design. What strikes you first is the HD 518's sheer bulk: large, extravagantly padded, oval ear cups, a wide headband and a 3m cable with 6.3mm headphone jack and 3.5mm adapter. It's fair to say that the Sennheiser HD 518 is built for comfort rather than stealth: those huge ear cups are circumaural – that is, designed to fit around the ears rather than on or in them, making them super-comfy. The headphones are also open-backed to give your music a light, airy feel, although this can also result in sound leaking in or out – great if you want to be aware of what's going on around you, but annoying for anyone who has to listen to a tinny rendition of your tunes. 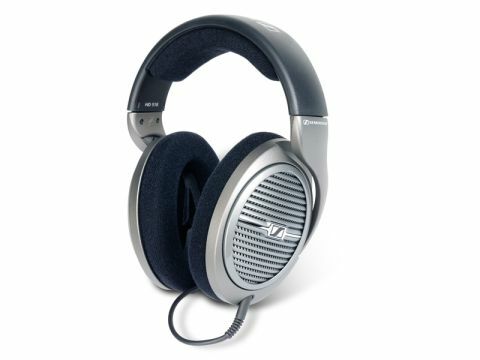 Out of the box, these headphones initially disappoint with a muffled sound that's thin on high-frequency sounds such as cymbals. Luckily, that quickly gives way to a more balanced sound that's breathtakingly clear with well-recorded rock, pop and classical. Ironically the Sennheiser's transparency could make some songs in your library sound worse: it's not very forgiving of low bit-rate MP3s or tunes that were badly recorded or mastered in the first place.